If you were to ask most people what comes to mind when they think of SUV platform production longevity, most people will always mention the XJ 1984-2001 Jeep Cherokee. The XJ Cherokee which remained almost unchanged except for some interior updates and very slight exterior changes spanning across three decades, was quite a remarkable vehicle. After-all it was the catalyst that led to the popular 4-door SUV craze that went viral starting in the 1990s. Without the Cherokee there probably wouldn’t have been a Ford Explorer, Jeep Grand Cherokee, and just about any of the other 4-door SUVs currently on the market. Not really known by many outside of Jeep circles, there never would have been a XJ Cherokee had it not been for the introduction of the 1963 Jeep SJ Wagoneer. Back in Fall of 1962 when the Wagoneer first hit the market, JFK was in the White House and most American families weren’t thinking about 4-wheel drive vehicles. The "SUV" term hadn’t even been invented yet. American families had a love affair with the station wagon. During this time there was a Chevrolet Suburban however it could only be had in a 2-door configuration and 2-wheel drive. A majority who purchased the Suburban used them as utilitarian work vehicles not as people haulers. Jeep back in the early-1960s understood that there was a need for a 4-door 4-wheel drive wagon which could easily park in a standard size parking lot spot and haul around an average size family. Jeep had certainly understood where the future was however it was going to take 30 years to build up a large enough customer base for this type of vehicle to become mainstream. None of these details were a concern for Jeep, since it was not a large automaker, it’s main business strategy was offering different utilitarian vehicle models for the slowing growing 4-wheel drive niche market. The SJ Wagoneer would prove to be a great move for Jeep. The SJ platform lasted for 29 model years which happened to be a lot longer than the 18 years the XJ platform lasted. The last SJ rolled off the factory floor in early-Summer 1991 when the final Grand Wagoneer was produced. Just like the XJ Cherokee, the SJ Wagoneer had received only interior and mild exterior updates during its very long lifespan. 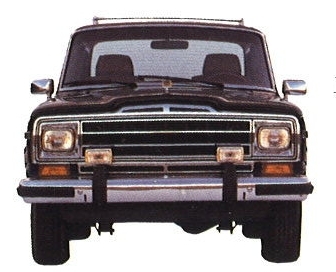 The 1991 Grand Wagoneer had the same undercarriage and body design as the 1963 Wagoneer. Jeep had tastefully updated the front-end and rear styling over the years so even though it was a very dated platform in its last year, it still looked stylish. It could still hold its own against any of the best SUVs 1991 had to offer. Think of the 1991 Grand Wagoneer as the Julianne Moore of SUVs, it may have been mature but it still had a youthful and beautiful appearance. Jeep for 1984 had renamed the SJ Wagoneer the Grand Wagoneer, due to the release of the XJ platform 1984 Wagoneer. Since the XJ Wagoneer was much smaller in size, it seemed appropriate for Jeep to add the "Grand" to the SJ Wagoneer’s name. By the time the 1980s rolled in, the Wagoneer which continued to grow in popularity had turned into a luxury status symbol. It was roomy and large yet not too big like the current crop of full-size SUVs. It had a length of 186 inches, width of 74.8 inches, height of 66.4 inches, and a wheelbase of 110 inches which is slightly smaller than a 2015 Grand Cherokee (189.9-inch length, 76.3-inch width, 69.3-inch height, and 114.8-inch wheelbase) which is considered a (larger) mid-sized SUV. During the 1980s the Grand Wagoneer was the "it car" for the rich and "country club scene". The 1991 Grand Wagoneer was no different. It may have been boxy, but there was no shortage of chrome trim inside and outside – even the mirrors and exterior door handles were shiny chrome. 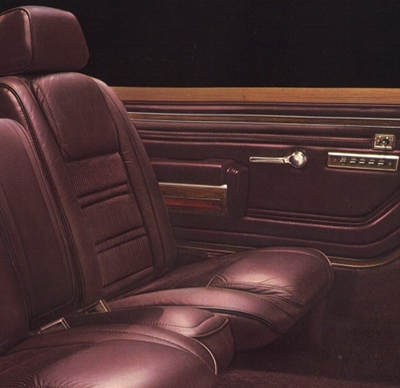 The leather seats were soft and comfortable, and the plush regal carpeting on the floor and door panels was fit for a king. And with a hefty MSRP sticker price of $29,421 (that was a lot of bananas back in 1991), only those higher on the social-economic scale could afford one. At least for this price the Grand Wagoneer was laden with many standard options such as power windows, power door locks, power mirrors, power antenna, keyless remote entry, etc. 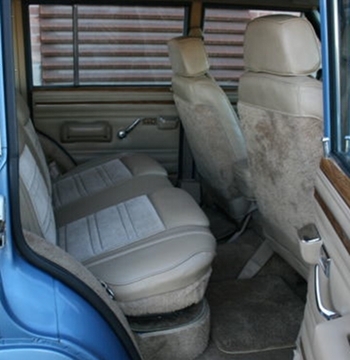 Besides its boxy traditional styling the Grand Wagoneer was well know for its simulated wood paneling. It had been standard on the Grand Wagoneer and Wagoneer for years. For some strange reason these faux wood paneling looked great on the Grand Wagoneer but looked gaudy on station wagons from the same era. Jeep which been famous for offering special editions, didn’t pass up the opportunity to commemorate the SJ Grand Wagoneer’s final production year. There was a "Final Edition" dash plaque that Jeep offered for all 1991 Grand Wagoneers. Interesting to note, Jeep didn’t install this dash plaque at the factory, they left it up to Jeep dealers to do the installation. This is why some 1991s don’t have them installed or the exact location on the dashboard of where they were installed varies from vehicle to vehicle. 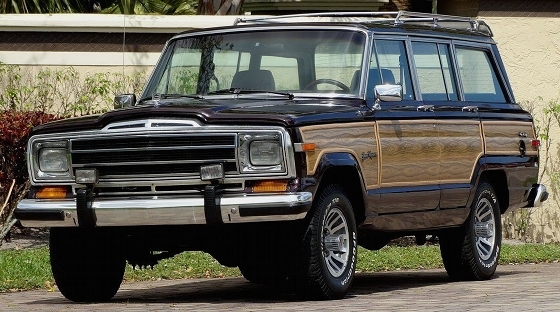 All 1991 Grand Wagoneer models were considered by Jeep to be final edition models. Among potential Jeep Wagoneer buyers the 1991 is the most highly sought. Only 1,560 where produced during the 1991 model year, Jeep could have sold many more (it sold 6 times as many the year before and 10 times as many for 1989) but instead decided to keep production volume low. This is why today a mint conditioned 1991 will run a buyer over $30,000 to obtain, throw into the mix a rare exterior color such as Hunter Green Metallic and the price can rise by as much as another $10,000. The Grand Wagoneer may be slightly smaller than the current Grand Cherokee, however it felt just as roomy inside. Six normal sized adults could fit very comfortably with lots of leg and headroom. The front seating configuration was essentially two comfortable bucket seats with a center section where modern SUVs have a center console. The center area could fit an decent sized adult or the back of this seat could be pulled down as a arm rest – which is what most owners did. Sitting in the backseat was like a limo ride with a great view. The high above ground placement of the seats and the very tall and wide glass windows all-around gave all occupants fantastic visibility. Driving a Grand Wagoneer will have your really loving the great visibility with no blind spots. And the almost vertical front windshield will hve you wishing all SUVs still had vertical windshields. There’s no denying with the Grand Wagoneer that Jeep offered as standard all the goodies a luxury car buyer wanted. However what you really got with the $29K price of admission was one of the most capable 4×4 vehicles on the road back in the day. 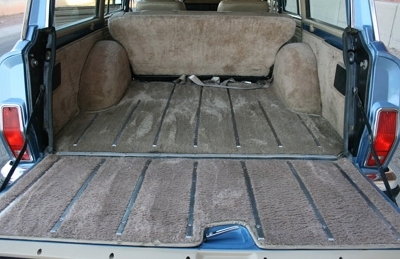 The Grand Wagoneer had a state-of-the-art 4-wheel drive system called Select-Trac. This system allowed a driver to shift-on-the-fly (flip the 4-wheel drive switch on the dash) to go from 2-wheel drive to 4-wheel drive high while the vehicle was in motion. It was leagues ahead of the stone-age systems offered on most SUVs at the time – some of which even required stopping the vehicle and then physically turning the front wheel hubs to power the front wheels. Select-Trac was also superior to Jeep’s other state-of-the-art 4-wheel drive system at the time, Command-Trac. With Command-Trac a driver could also shift-on-the-fly while in forward motion, however the vehicle could only operate in 4-wheel drive if the pavement was wet or the vehicle encountered off-road type conditions. The Select-Trac system could be driven in 4-wheel drive at any time. The Grand Wagoneer may have looked at home at the country club or in upper crust neighborhoods but its second home was off-road. With its Select-Trac system, high ground clearance, and sturdy front and rear solid axles the Grand Wagoneer mastered any of the worst off-road conditions. The only drawback was that Jeep didn’t offer the Grand Wagoneer with serious All-Terrain tires, instead a nice set of all-season radial tires with white walls was mandatory from the factory. The tires surprising did well off-road but offered a quiet smooth ride which enhanced its luxury image. The tires along with the suspension, on-road gave the Grand Wagoneer a feeling it was floating on the road. It was part of the reason why well-heeled buyers were attracted to this type of vehicle – it had the manners of a 4×4 Rolls Royce. When it came to the drivetrain, Jeep certainly followed the "if it ain’t broke, don’t fix it" approach. The big 5.9 liter (360 CID) V8 was from another era. It was an old AMC V8 which many years prior had been retired in AMC’s car lineup. It was configured for low-end torque – horsepower wasn’t really part of the equation. Its 144 horsepower rating was paltry for a vehicle with a heavy curb weight of 4,377 lbs, on paper seemed like a bad match. Ironically in the 1991 Jeep sales brochure this motor was referred to as the "powerful 5.9 liter V8". It may have been light on the horses it did have a lot of grunt with 280 lb-ft of torque available at an ultra low 1,500 rpm. Ford’s 4-wheel drive 2-door 1991 Bronco equipped with an Electronic Fuel Injection (EFI) 5.0 liter (302 CID) V8 produced 185 horsepower and 270 lb-ft of torque – only 10 less lb-ft of torque less than the Grand Wagoneer but the Bronco didn’t hit it’s peak torque until 2,400 rpm which was much higher than the Grand Wagoneer. The Grand Wagoneer felt much more powerful launching from a standstill than the Bronco. Around town and during highway driving the Grand Wagoneer and the old 5.9 liter V8 seemed like the perfect match. It was during the times when sudden quick acceleration was needed that the low horsepower rating could be felt – and 40-60 more horsepower was really needed. Pushing the accelerator pedal to the floor, the poor 5.9 liter V8 really struggled, it was evident to even the most inept that the electronic 2-bbl carburetor was starving this engine of power. The 2-bbl had been in place on the 5.9 for years in order to foster engine efficiency – it failed miserably in this area with most owners getting around 12 mpg with normal driving. Why Chrysler didn’t drop in its fuel-injected 5.2 liter (318 CID) V8 or 5.9 liter (360 CID) V8 is a big mystery. It would have been an easy task, in fact the Grand Wagoneer’s replacement was the 1993 ZJ Grand Wagoneer which was equipped with the 220 horsepower 285 lb-ft of torque (fuel-injected) 5.2 liter V8. The same engine with the same horsepower and torque ratings was available for 1991. The 76 extra horses would have given the Grand Wagoneer very responsive acceleration along with better mpg. It would have been a win-win however the 5.2 liter’s 285 lb-ft of torque was not available until 3600 rpm. The 5.2 liter could have easily been dropped into the Grand Wagoneer’s engine bay starting in 1989 (which was 2 years after the Chrysler purchase of Jeep). Enough of the "what if" type thinking, it really doesn’t matter, the Grand Wagoneer as it was offered in 1991 has an appeal just like the most desirable classic era muscle cars. This was a vehicle that lasted much longer than anyone ever expected – mostly due to its appeal. It’s a vehicle even the most difficult to please, will admit that they like. In fact its appeal is so strong, that good conditioned Grand Wagoneers are skyrocketing in price. 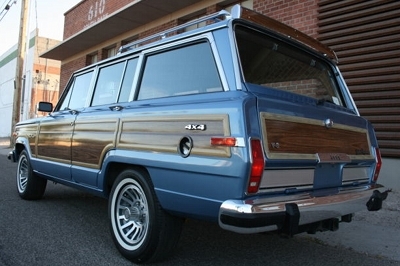 It’s now the norm to pay over $20,000 for a mint conditioned example (doesn’t matter which model year Grand Wagoneer). In other words it’s got the same appeal and is now the same classic car price bracket as the most revered low production 1980s American performance cars – 1987 Buick Grand National, 1987 Buick GNX, and 1989 Pontiac Trans Am 20th Anniversary Edition. Who would have thought that 20 years ago? If you don’t believe the strong appeal of this special vehicle, take a mint conditioned Grand Wagoneer park it in a heavily foot traffic area right next to a brand new 470 horsepower (around $70,000) 2015 Grand Cherokee SRT, and you will see how the Grand Wagoneer will be the vehicle that gets most of the kudos and attention. There’s just something so special about the Grand Wagoneer, it wasn’t a carbon copy of another vehicle, it was a one of a kind vehicle that appealed to a wide audience. The 1991 Grand Wagoneer was the last of this great vehicle, its place in automotive history is already secure. It’s a safe bet there will never be another new future SUV like it, and that is its great appeal.